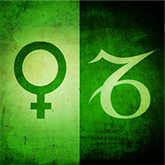 On Tuesday morning, November 5, romantic Venus entered stern and serious Capricorn. It represents a significant contrast between this planet's desire to please people and this sign's inclination to dominate them. This major difference is likely to intensify relationships during Venus' extra-long transit of Capricorn. Her usual stay of eight weeks is extended until March 5 next year due to her retrograde period from December 21 until January 31. Pressure can build when we're trying to navigate between two concepts (compromise and control) that seem to oppose one another. 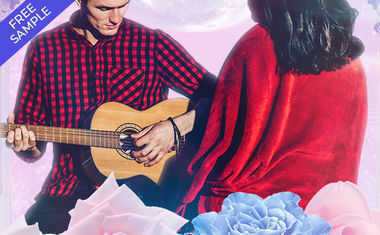 See what your sign will be going through during this push-pull influnce with our 30-Day Astrology Forecast. I heard a brilliant idea many years ago from the astrologer-psychologist Zipporah Dobyns about these kinds of differences within a person. Her point was that key personality issues are driven by contrasting needs or drives rather than by a single factor. For example, birth charts clearly show places where the instinct to accommodate (planets in Libra or a strong Venus, for example) clash with the need to dominate (planets in Capricorn or a strong Saturn). When conflicting themes like these occur they tend to play an inordinately important role in a person's behavior. If someone is primarily a competitive and independent individual, he or she can be aggressive or act alone without the pressure of internal contradiction. But when a person's chart has strong elements of these traits along with a significant need to gain approval, the stresses between these qualities can manifest themselves in difficult ways. On the other hand, a purely self-centered man or woman is coming from a place of internal consistency that, even if not an ideal model of socialization, is less likely to produce aberrant behavior than a conflicted individual. 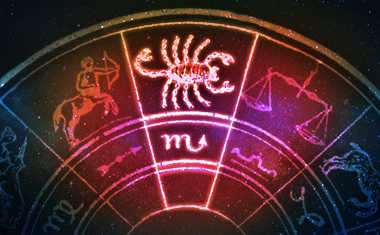 Although a good astrologer can detail key components of personality and describe these fault lines of contrast, we can also notice them in the behavior of others. A pushy person who is also insecure is going to appear more aggressive than one who is self-confident. A sociable individual who isn't riddled with self-interest can act generously without a trace of resentment. In addition to our personal patterns, we are influenced by current collective trends. Sweet and loving Venus' long stay in stern and salty Capricorn signals a period of contrast for all of us, regardless of our birth charts. This general pattern pushes the principles of love, pleasure and attraction up against hard walls of authority and accomplishment. It can bring competition into relationships that can undercut cooperation. The desire to be appreciated (Venus) for our success (Capricorn) might elevate one person to the top while another feels pushed to the bottom. Zip Dobyns also said that where there is conflict in a chart the issue is not to seek compromise but to determine which trait is appropriate in a given situation. Venus is about pleasure and Capricorn is about accomplishment. Although the two are connected during the next few months, recognizing when ambition imposes itself in a social situation and when the desire to please others inhibits productivity will be helpful. Adjusting behavior to address needs in specific circumstances will reduce confusion and alleviate the stress of trying to blend these contrasting characteristic to transform their differences from weaknesses to strengths.